The start of the year is traditionally the month for detoxing after a festive period of excess. We’ve decided to give you a bit of help if you are struggling with your new year resolutions to get fit and eat healthily. We’ve also got some new Pukka teas and another free mug offer. See below for more details. Receive a 10% discount off any of our juice detox programmes purchased between now and 28th February 2019*. You will automatically receive your discount when you purchase in-store, but if using our online shop enter the promotional code of DETOX219 at checkout. 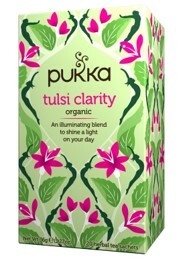 We’ve got two new teas from Pukka Herbs, Tulsi Clarity and Feel New. Also known as ‘Holy Basil’, Tulsi is an uplifting herb that has been used and revered in India for centuries. The Rama, Krishna and lemon essences are expertly blended to sharpen the senses and clear away the clouds. Breath in the fragrant aromas and enjoy blissful moments of simplicity. Tulsi Clarity can be enjoyed at any time of the day but is perfect in those moments when you need clarity and focus; an important work deadline, or while you are studying. It’s also great for when you simply need to have a relaxing, mindful moment after a busy day. Naturally caffeine-free, 100% organically grown and ethically sourced ingredients: Tulsi leaf blend (green Rama, purple Krishna, lemon Vana). Tulsi Clarity is the new name for Three Tulsi. Feel New has been expertly blended by Pukka’s Master Herbsmith and Ayurvedic Practitioner, Sebastian Pole, to support the body’s natural processes, helping you feel your best this January and beyond. Prepare to reawaken with a cup of organic delight. Gentle yet purposeful – leaving your body as sweet as the fennel seed within. 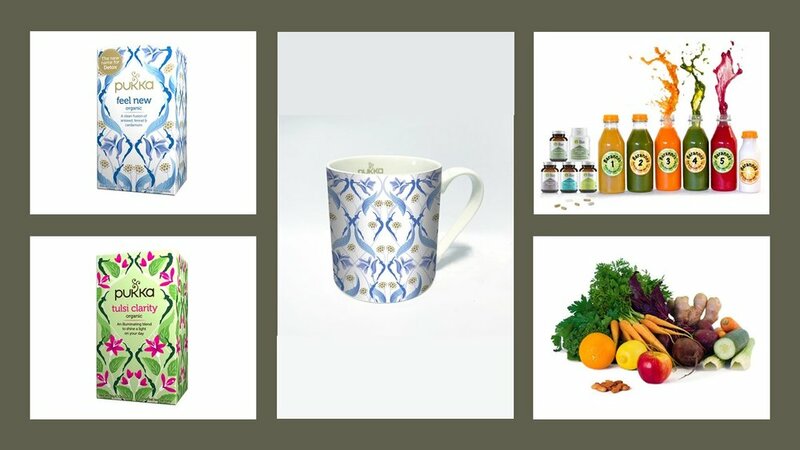 This new addition to Pukka’s wellbeing tea range has been blended with 100% certified organic herbs, including aniseed, fennel, cardamom, and now also includes the much-loved herb, turmeric; all of which are well known in traditional herbal medicine for their aromatic, soothing and warming properties. Savour after meals to add a touch of transformation to your day. Naturally caffeine-free and ethically sourced, 100% organically grown ingredients: Aniseed (42.5%), sweet fennel seed (22.5%), cardamom pod (15%), liquorice root, coriander seed, turmeric root. Feel New replaces Pukka’s Detox organic tea. 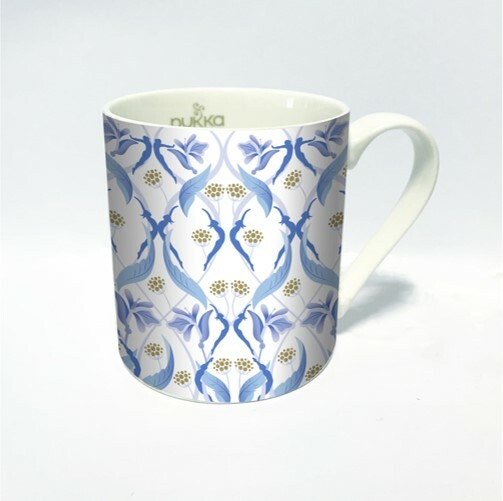 Pukka have again produced a beautiful china mug, this time in blue. You can get yours free when purchasing any four boxes of Pukka Tea. It makes a lovely addition to any kitchen or office, particularly when combined with the Pukka china tea caddy. *Terms & Conditions apply. All detoxes must be booked at the time of purchase for collection before the end of March 2019. Orders are filled on a first come first served basis and we reserve the right to reschedule your booking if demand exceeds our daily capacity. At least 48hrs notice are required when booking online.